Salvage Dior: Kate's Giveaway " Full Bloom Cottage "
you are a follower of Salvage Dior. This giveaway ends May 6th at midnight! Best of luck to each of you lovelies!!! Of course I am a follower. 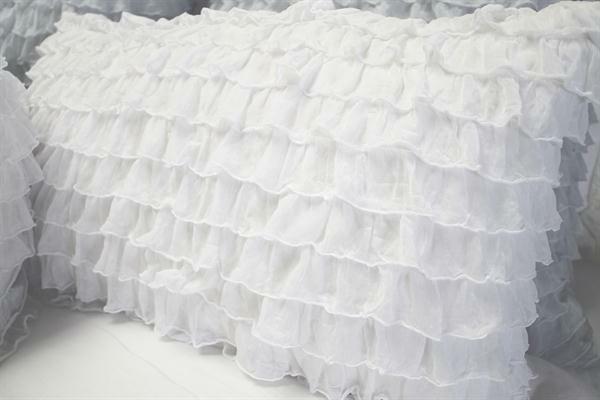 And really...who could resist ruffles! Simply beautiful!! I would love to see this in my home.... Oh... and I'm a follower too!! I am a follower - first time commenter. Can't remember how I found you (oops!) - it's been a few months. 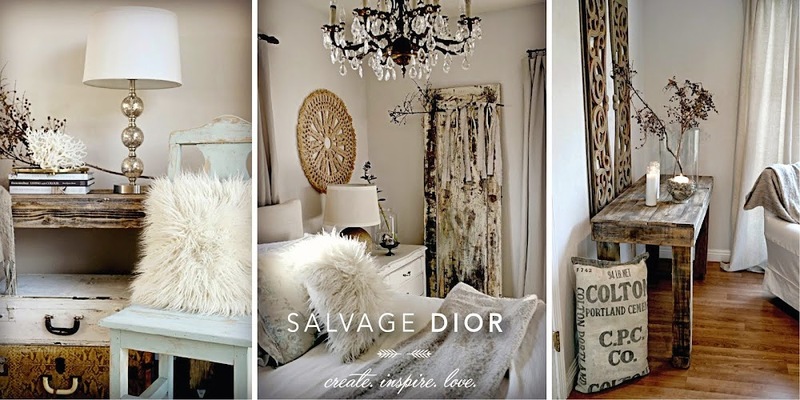 I am a follower of Salvage Dior and I would love to win this beautiful pillow. What a beautiful pillow!! Congratulations on having your blog featured in the current Romantic Home magazine--a very well deserved recognition!!! Love this pillow, it would look great in my studio. Funny I used not really care for ruffles but that is changing. I like them on pillows and even my clothing now. I've been a follower for a whilel now. I am a follower :-).So happy to have discovered your blog.I would LOVE to win that gorgeous pillow. I am a follower of your beautiful blog. What a beautiful pillow to giveaway! Hi ~ Yes, I am a follower of you and would feel blessed if I won and thank you so much. Woo-Hoo Kate,count me in!! I am a huge fan of Loretta's pillows. I absolutely adore this one!! I have been a follower of your gorgeous blog for a while now! Hope your doing well sweet friend and have a lovely weekend. Dare I hope to win another of your lovely giveaways? Yours was the first (and last...lol)giveaway I've won, so I'm crossing my fingers, holding my breath, and saying a little prayer! :) And you know I'm a follower of not only your blog, but of your life inspiration to us all!! Oooh! How dreamy! Throw my name in the pot, girl! I would love to win something for once! :) Yep, I follow, too! I've followed from way back when, you know that. I love you to the moon and back, my friend! ooh la la!!! Loretta's has some really WONDERFUL linens. I am most definitely a follower of yours! I so want that pillow. Put in a good word for me, G! Beautiful pillows! I am a follower! I am most definitely a follower. This is a gorgeous pillow! I am a new follower over from "Simply Klassic Home". This pillow would look lovely on my bed. Just gotta say I love you, Kate. You are a true female goddess! I have admired this pillow for ever! Would so love to win one! Have been a happy follower of yours for some time now. This pillow would be a lovely addition to my bed! Thank you for a lovely site filled with beauty and inspiration! What lovely pillows. I am happy to already by a follower. Gorgeous pillow. Discovered ur blog and am now a follower. pair it up with another one like it!! Hello Kate. I am officially a follower now. I've visited your blog for months and months whenever I had a free moment at work or if I were stressed I would stop and pop by and look at all your pretty things. I love the way you write too. Please enter me into the drawing for that awesome pillow. Oh Kate WOW!! 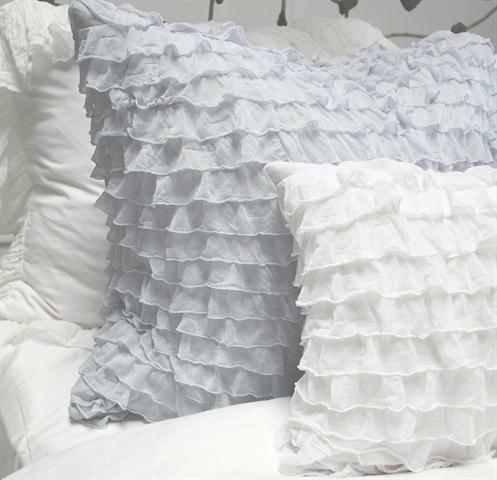 Those ruffles are dreamy!! Thanks for the chance to win! I would love napping on a ruffly pillow like that! Oh Poo, I think I missed the cut off. Oh well, I'm a new follower!! What a sweet pillow if I won I would give it to my college age daughter Brittany who will be turning 19 in June! She would LOVE it! So sad I missed your great giveaway!! Hoping you are well...and congrats to the lucky winner! I am a follower.. seen you in the Romantic Homes magazine. Oops to late for the giveaway.. But enjoyed your blog.. This is a beautiful giveaway in a beautiful blog!